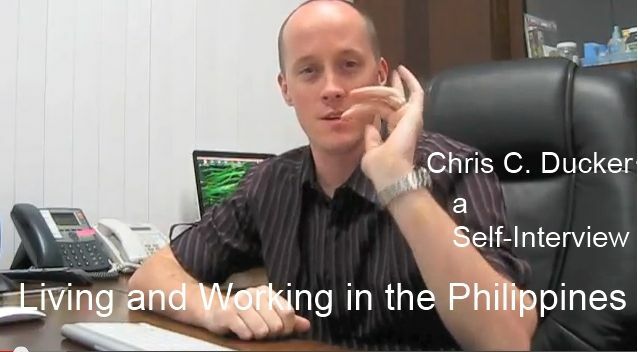 Chris C. Ducker has been living in the Philippines for 10 years. He has had many people ask him about his experiences there and what it is like to live and work in the Philippines. He first visited in 1996, arriving from Hong Kong. He stayed with his fellow traveler’s distant cousin, and the cousin and his family were unconditionally hospitable. They let the visitors use their home and sleep in their only bed when they didn’t even know them. This drew Chris Ducker in, and he really admired the hospitable, family-oriented people. Ducker said that many of the people in the Philippines live in tiny houses with a huge number of families, including their extended family. Most of the people there work really hard to provide for their kids, siblings and other family members. They pride themselves in getting the best education possible. Ducker stated that they are reliable and dedicated workers who are serious about their jobs and do the best that they can. He said that for transportation most people use tricycles, jeeps and domestic airlines. People often ask him about the safety of the Philippines, and he discussed how there is political trouble sometimes, but it is essentially very safe. He confessed that it can be difficult to set up a company there and that it is important to be working with Filipinos. He concluded by saying that he loves the Philippines and that it is a great place to live. – He teaches what is it like to live and work in the Philippines. – Ducker has been there for about 10 years. – His first trip was in 1996, and he came from Hong Kong. – He stayed with his fellow traveler’s distant cousin. – The cousin’s family was very hospitable and gave up everything for the visitors. men on social sites to get married and leave.